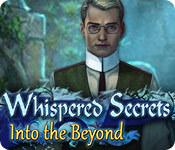 Whispered Secrets: Into the Beyond is rated 4.3 out of 5 by 23. Rated 5 out of 5 by Majestyx12 from Nice Hops Game This is the second one in the series. The first one is The Story of Tideville. You have the same characters but the boys are all grown up and the mad scientist is back. I like that it just continues. It has a dragonfly that you use and it makes a perfect dragonfly wing sound. I play for the hops and it has a nice number of 25 hops. You can switch to match 3 if you want. I thought it was a long game. It has a map and journal. The hints work well and will lead you if needed. Try for yourself! Rated 5 out of 5 by be_positive from Nice game :) I played trial first. Nice game with nice story going. I didn't read diary and thoughts from Erin later in game to make game harder a little. Played in hard mode, but like I didn't :). Game is like one big hint, so hint button is..... there :D. I didn't use it or skip on puzzles. On HOG you can play match 3 game if you don't want HOG. It's slow loading on screens (5-10 sec. sometimes, but didn't bother me). I passed game twice. Second time to enjoy in game also on hard and to read some things :) with using skip sometimes. Rated 5 out of 5 by bristolblue from It was $3 worth of fun. We like this game. Interesting puzzles, laughable animation, easily navigated. Rated 5 out of 5 by bessiegirl from Great game Thoroughly enjoyed playing this game. A lot of HOS but they were interactive, clear and easy so the game moved along well. Also lots of mini-games which, since I am not of fan of these, I found tedious and at times challenging. Hint recharged quickly but the skip was a finger tapper which made skipping the mini-games slow. Fantastic transporter map that indicated where action was needed so you didn't have to guess which "active" site was the one to go to. This was needed as the game was all over the place. Great voice-overs, animations and the graphics were clear and well colored. The game ended well and was long for a SE. This game sort of covered all the basis for great gameplay. A definite 5 star. Rated 5 out of 5 by tutortime from Excellent Game I have had this game for a while and just played it today. I was expecting very little since it was an older game. Surprisingly it was an excellent game. The story line, graphics and length of the game were great. Rated 5 out of 5 by roaming from LOVE IT!!! What a fun HOPA! The storyline is good with time portals, secret labs, moving bookshelves and "scientific" formulas that the you have to mix up. It kept me busy but never frustrated. The HOS (so far) are well-lighted and clearly seen, but not too easy and do have some interactivity to keep things interesting. There is a mechanical helper dragonfly that you can call up to get rid of poisonous gases. Other than that, there are no gizmos or gadgets to clutter up the game's progress. This is a game that everyone can enjoy from junior high to adult. There is enough of a creep factor, but nothing here is going to give you nightmares. There are even a couple of very realistic cats that roll over and purr when you scroll over them. Rated 5 out of 5 by nwind from Really Liked This One! This was a lot about the story and the characters were both interesting and likable. The story was interesting and worked its way to a good conclusion. Most of the puzzles were not as annoying as usual and the HO scenes were comfortably challenging. I really enjoyed this and was a little sorry to see it end. Whispered Secrets is going on my watch list for any future games. Rated 5 out of 5 by BlackWaterRules from Unique and Different Based on the demo. The story begins with the mother of the groom being poisoned and it gets creepier from there. The storyline is great with time portals, underground and secret labs, moving bookshelves and a host of scientific forumulas that the player has to figure out. It kept me really busy. There is a helper dragonfly that you can call up to get rid of noxious and poisonous gases. You know if it is a great game when there is a helper animal, or even and insect, in it to help you. 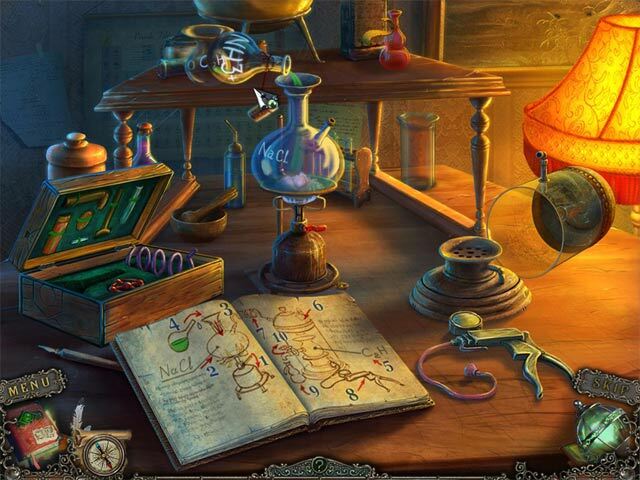 Hidden object scenes and mini puzzles were challenging and lots of fun. There is an option to do a Match 3 instead of the hidden object scene, but the Match 3s looked boring and lackluster so I didn't even try them. 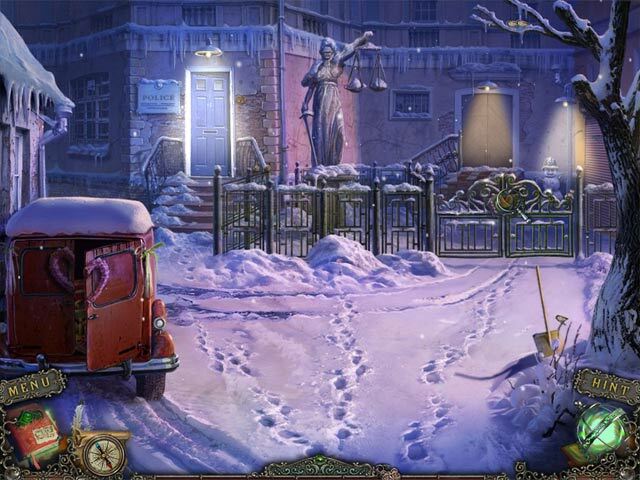 This hidden object and adventure game has everything you want in a dark and creepy. It was an immediate buy for me. 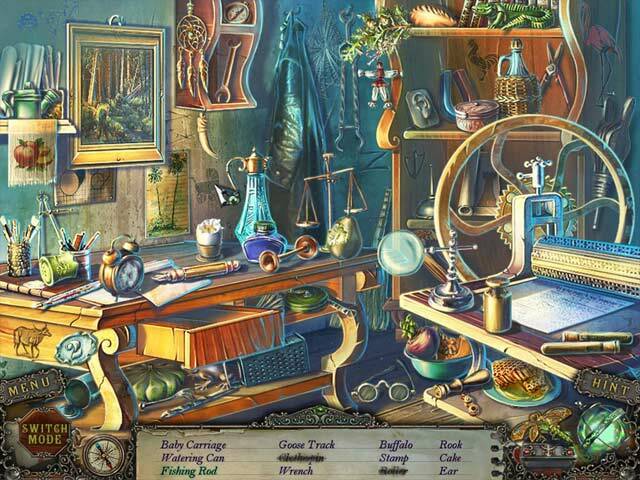 Rated 5 out of 5 by Emeraldin59 from Fun Relaxing Enjoyable Hidden Object Game I really enjoyed playing this one. It was a beautiful story line. The music was sweet and it wasn't full of unexpected treachery. There were HOS plenty and the puzzles weren't too hard to do. I'm not a rocket scientist and don't demand excruciating puzzles and evil demonic scenery. It was challenging enough, the artwork was beautifully done. I'd like to play more of these. Rated 5 out of 5 by boatgirl4347 from THANK YOU GOD FOR SO MUCH COLOR!!!! I LOVED THIS GAME!! IT FLOWED SO SO SMOOTHLY A JOY TO PLAY I NEVER GOT STUMPED FOR A LONG TIME SO I WOULD TRACK OF STORY THE LAST PORTAL CRYSTALS COLORS WERE MAGNIFICENT!!! I DID NOT WANT TO LEAVE AND GO BACK AND CURE MOM HA-HA GREAT JOB YOU GUYS MUST WORK FAster!!! you are all so brilliant you should be about done with the next game!!! lol ps I love elevators!! !